The solar system most of us grew up with included nine planets, with Mercury closest to the sun and Pluto at the outer edge. Then, in 2005, astronomer Mike Brown made the discovery of a lifetime: a tenth planet, Eris, slightly bigger than Pluto. But instead of its resulting in one more planet being added to our solar system, Brown’s find ignited a firestorm of controversy that riled the usually sedate world of astronomy and launched him into the public eye. The debate culminated in the demotion of Pluto from real planet to the newly coined category of “dwarf” planet. Suddenly Brown was receiving hate mail from schoolchildren and being bombarded by TV reporters—all because of the discovery he had spent years searching for and a lifetime dreaming about. 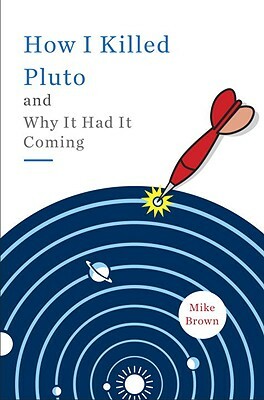 Filled with both humor and drama, How I Killed Pluto and Why It Had It Coming is Mike Brown’s engaging first-person account of the most tumultuous year in modern astronomy—which he inadvertently caused. As it guides readers through important scientific concepts and inspires us to think more deeply about our place in the cosmos, it is also an entertaining and enlightening personal story: While Brown sought to expand our understanding of the vast nature of space, his own life was changed in the most immediate, human ways by love, birth, and death. A heartfelt and personal perspective on the demotion of everyone’s favorite farflung planet, How I Killed Pluto and Why It Had It Coming is the book for anyone, young or old, who has ever dreamed of exploring the universe—and who among us hasn’t? Mike Brown is the Richard and Barbara Rosenberg Professor of Planetary Astronomy at the California Institute of Technology. In 2006 he was named one of "Time" magazine's 100 People Who Shape Our World as well as one of "Los Angeles" magazine's Most Influential People in L.A. He lives in Southern California with his wife and daughter. “Science is at its best when it shakes up our thinking, and when it comes to planets, Mike Brown has grabbed on with both hands. Whether you think Pluto is a planet or just another ice ball, you’ll find Brown’s tale of exploring the outer solar system a charming and even endearing read. If Pluto is indeed dead, then its sacrifice was not in vain.”—Philip Plait, author of Death from the Skies!